SPECIAL OFFER! Includes: Raincover & Shopping Basket! 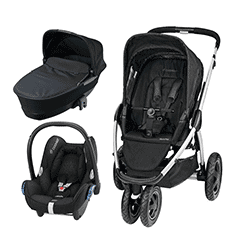 Simple to use and sleep, Red Kite newborn stroller designed to make day to day trips out and about a doodle.